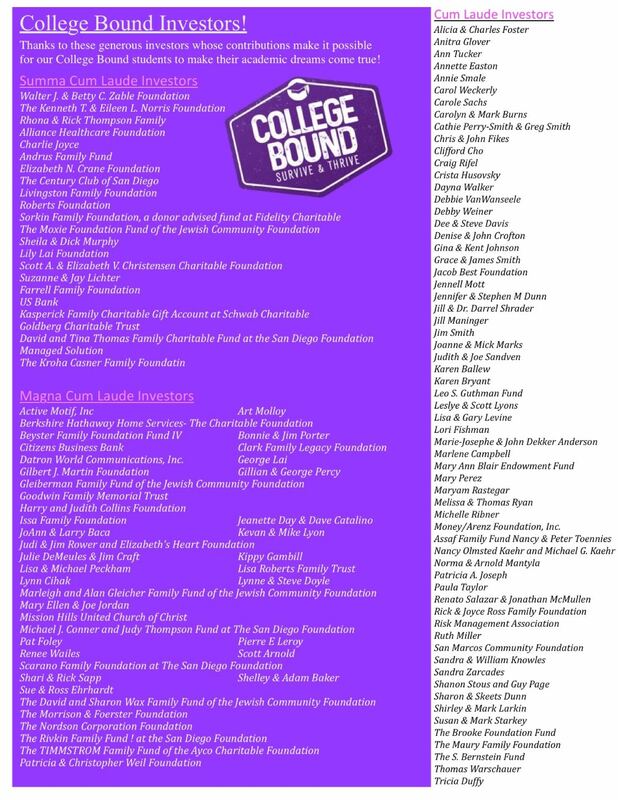 We also recognize the essential contribution of the investors who help make College Bound a success year after year. 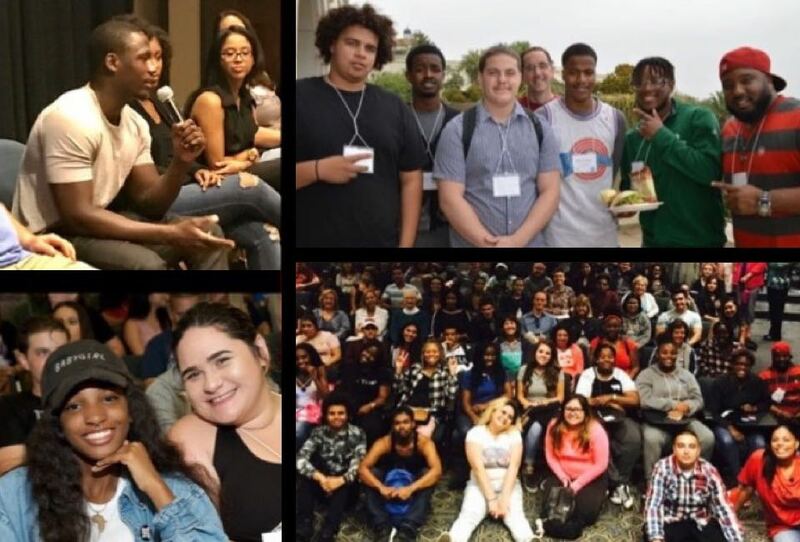 Because of them we’re only $50k away from our June 30 funding goal of $230 that supports these deserving students, not only as they start college but also helps them stay enrolled until graduation. To make your investment, go to our website at www.jitfosteryouth.org. 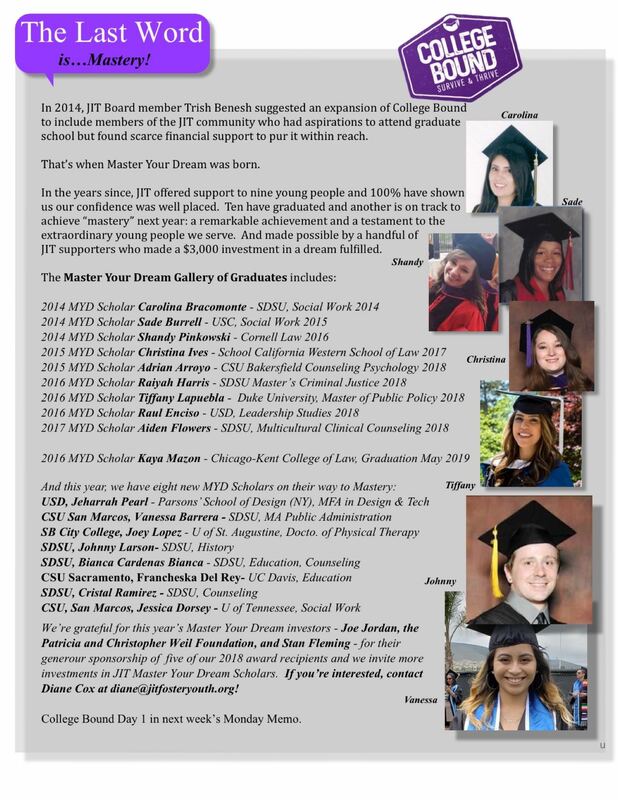 And we’re excited to spotlight our 10 marvelous Master Your Dreams scholars who have an incredible track record of success in graduate schools from caost to coast. With eight new MYD recipients, there are still sponsorship opportunities to create the future we desire by investing in our future leaders! 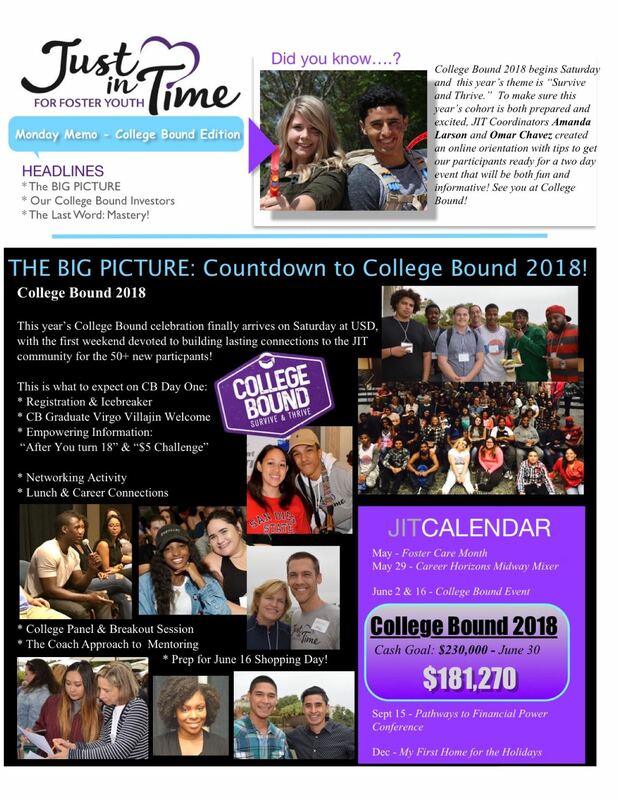 College Bound is almost here! And thanks so much for all you do!